When one club door closes, another opens. Quite literally, in fact. 2016 was a year of change the world over, and dance music didn't go unscathed. When the legendary Space Ibiza shuttered its doors this season, guided to its final breath by Carl Cox, many a seasoned clubber lamented the end of an era – and a hole in the heart of the island. While Ibiza will surely be hard-pressed to replace its 27-years-running institution, something special has been reborn in its wake... 5,000 miles away in Miami, Florida. Club Space Miami has been alive and kicking for 16 years, but it's about to kick even harder. As of this month, Space Miami has a new set of owners. Before you roll your eyes, imagining yet another money-hungry flock of bourgeoisie boys swooping down to cash in on the commercialized dance music craze, know this: they're anything but. Space's new parents are three homegrown locals who have been passionately upping Miami's underground electronic music game for years. Davide Danese, Coloma Kaboomsky and David Sinopoli are talent booking, party throwing mavericks who drive some of the world's greatst acts to South Florida because they love the music, they love the scene, they love their city and they want to bring out the best of it. Chances are, if you've been to Miami Winter Music Conference or Art Basel, you've already experienced the magic of their parties. Davide and Coloma are the men behind LinkMiamiRebels, the beloved local promotion group that ushers globally-renowned underground house and techno artists into South Beach every weekend, often setting them up in intimate, unassuming venues, while Sinopoli is the co-founder of Miami's III Points music festival who has spent the better part of a decade bringing top indie dance, hip-hop and rock acts through the city. "We've felt the need for quite some time to bring more and more to our city," Coloma says. 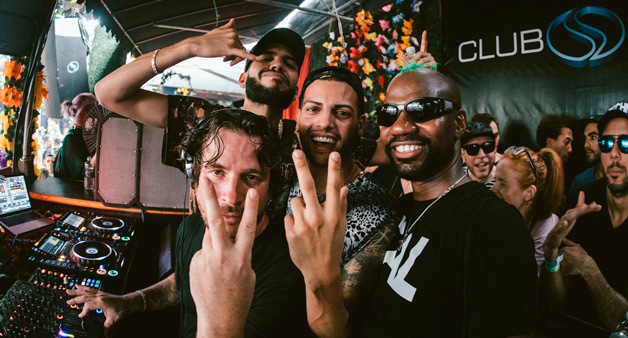 "Space Miami has four different environments that allow us the creativity to book artists that are just emerging, as well as fully established names that can have the Terrace and Loft jamming from midnight to noon." He adds that they'll be building a live music room on the venue's first floor, which will allow acts from a much wider variety of genres than ever before to be booked on weekdays. 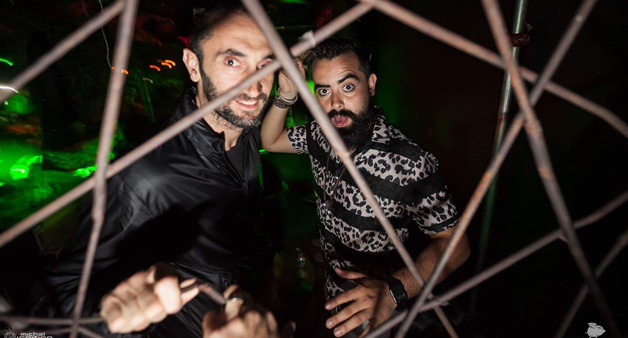 They're also taking over Libertine, the adjacent afterhours speakeasy lounge, and there's a collaboration with Brazil's fabled Warung Beach Club (a DJ Mag Top 100 club) in the works. With one of the only 24/7 liquor licenses in the entire city of Miami, Space is going to have plenty of timeslots to fill – and mouths to water. For those who know and love Space Miami for what it always has been – a sweaty span of terrace pulsing with four-on-the-floor beats and a sea of sunglasses at sunrise – fear not. That won't change. But what will likely happen, is that the club will become a lot less of what some people disliked (harsh, disconnected, at times unwelcoming) and a lot more of what people adored about its Balearic mother club, Space Ibiza: all about the music, and people uniting because of it. Creativity, uniqueness and a grassroots dedication to lifting up their city and anyone who visits it, has long been the focus of Davide Danese, Coloma Kaboomsky and David Sinopoli, and they're set to prove it with a slate of improvements to the 1,700-person capacity club – think organic crystals and plants, fresh-pressed organic juices for bleary-eyed mornings – and a heavy lineup set for the new year. Jamie Jones will ring in 2017 on the Terrace on New Year's Eve with a marathon set (grab tickets here if you're looking for the best party in town), and since the new trio took over in early December, the Terrace has already hosted the likes of The Martinez Bros, Fur Coat and M.A.N.D.Y. The following weeks are shaping up to look like the house and techno lovers of Miami are in for more treats, with dates already confirmed for Bedouin, Mind Against, Steve Bug, Green Velvet, Pan Pot, Justin Martin, Carl Craig, Stacey Pullen, and Visionquest. Miami is not Ibiza, but for anyone who thought part of the scene disappeared along with the White Isle's most infamous club, think again. The party is just getting ready for its next round. Lineups and tickets can be found here.